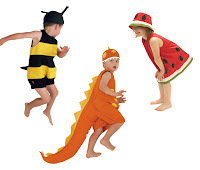 Filiokus - Playful childrens dress up costumes: Filiokus is popping up tomorrow! Filiokus is popping up tomorrow! Along with 30 other designers Filiokus will be at the 'Pop-up Design Store', 103 Thorndon Quay (ex Apartmento), starting tomorrow March 25th & running until April 21st. Hours are Mon - Fri: 10 - 4.30 pm, Sat & Sun: 10 - 2 pm. There's a chance to support 7 Christchurch designers too, especially invited to the event. See flyer for more details. Dressing up gives children the freedom to behave in ways they normally don’t. They loose their inhabitions, they use their imagination, they act out different roles and they experiment with new ways of moving. At Filiokus we think this is an important part of a child’s development - and a lot of fun too!